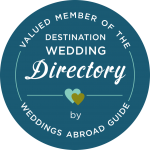 Home/advent calendar, weddings/Day 22 – 10 Top Tips for finding your perfect Venue. How many guests are you looking to invite to your Wedding and what location options are there for your Ceremony and Wedding Breakfast? Top tip #1 – Think about your guest numbers whilst shortlisting venues. The last thing you want is for you and your intimate wedding to be eating your Wedding Breakfast in a vast empty hall that seats 250 guests. Look at the options for dining. The same goes for your ceremony and works the other way round too. Will your 100 guests fit in the Chapel or the outdoor area you have your heart set on? Budget! You always hear, ‘set your budget and stick to it!’ But what if your favorite venue is just out of reach? 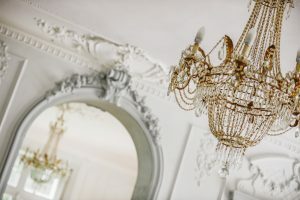 Have you thought about potentially asking your guests that will be staying with you for a contribution for their room? This may help bring your dream venue into budget. Top tip #3 – think about whether you want to accommodate all your guests on site? Sometimes you may start off thinking you want all of your wedding guests at the venue with you. Do remember that they will then be there potentially all the time for 3 or 4 or more days with you. Or do you maybe want to keep it just to your nearest and dearest and have your other guests staying locally? Check with the venue on the options for local accommodation. Top tip #4 – ask if you can you choose your own suppliers? Are you tied to specific suppliers? If you have your perfect menu in mind then you may need to check that you don’t need to use the recommended caterer of the venue as you may not be able to create your perfect Wedding Breakfast Menu. Top tip #5 – ask if the venue offer packages? You may think that this will make it easier and cheaper for you but again as above check regarding the suppliers and options and any restrictions imposed. Top tip #6 – find out if the venue charge corkage? If you want to supply your own wine, will you be charged a corkage fee? This can add a hefty amount to your wine budget. Also check whether the wine must be ordered through the venue. 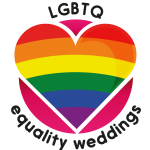 Top tip #7 – check what is included in any wedding options at the venue. Ask if items such as tables and chairs, linen, crockery and cutler are included, if not then you will have to budget for these too. Top tip #8 – ask how flexible is your venue? Remember to ask questions such as, are there any times restrictions for music? Is it possible to have fireworks? Are animals permitted? Does your ceremony have to begin at a certain time? Can you bring in your own decorations and candles? Top tip #9 – think about if you want all the planning taken care of or do you want a DIY day? If you want it all taken care of check whether your venue has a Wedding planner and do you have to use them? Can you bring in your own? And if you want to do it all yourselves then a venue with a specific planner may not be the right option for you. Have a look at the ‘Real Weddings’ for a venue that you are interested in either on their own website, social media or the photographers themselves. Always ask the venues too for any other links or images that they have. This will help you imagine how your Wedding could potentially look at that venue and imagine the possibilities. Taking into account the above top tips why not have a look at Chateau La Gauterie. 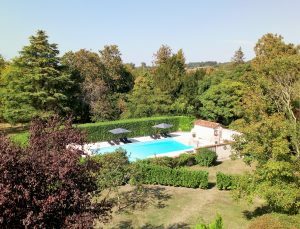 The Chateau, built in 1820 for Conte Francois Lagauterie is set in the breathtaking French Countryside and is on the Dordogne/Charente in border, close to the market town of Riberac and stunning Aubeterre-sur-Dronne. 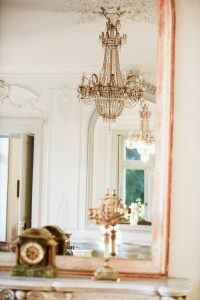 The Chateau has 10 beautiful bedrooms and an additional 4 in The Gatehouse, sleeping up to 30 guests. Both have recently been sympathetically restored, retaining most of the original features. And together they provide an elegant but homely ambiance. Set in ten acres of beautiful parkland with sweeping lawns, a variety of mature trees and a large enclosed swimming pool. Once through the gates you will forget about the outside world.